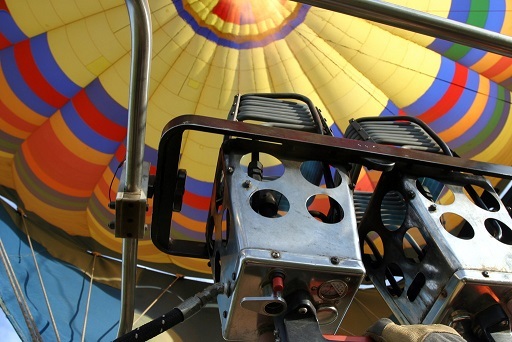 Looking for a Mesa Arizona balloon ride? If you are staying in Mesa, Arizona when arranging for your Arizona Balloon rides, we have included some interesting background about the town below. When arranging your Mesa Balloon Ride, be sure to check our directions page to see how convenient we are to the entire valley. Mesa, Arizona, a city found in Maricopa County, has a population of 437,454 according to a 2004 census estimate. Mesa is one of the fastest growing cities in the United States, and is known as the largest suburban city in the nation. 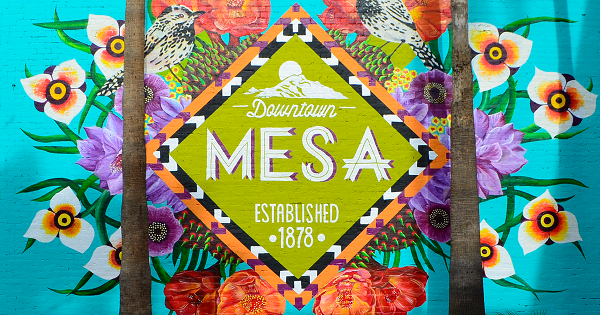 Settled by Mormon pioneers, modern Mesa was founded in 1878. Mesa has much to offer from golf, hiking, fishing, horseback riding and hot air balloon rides to jeep and hummer tours, museums and theaters. There is a wide variety of attractions to satisfy folks who like the rough terrain as well as those who enjoy the fine arts. Outdoor fun for the family might include taking a walk through the Park of the Canals, which features the ancient Hohokum Indian canal system dating back to 700 B.C. There’s also a lovely botanical garden at the park. 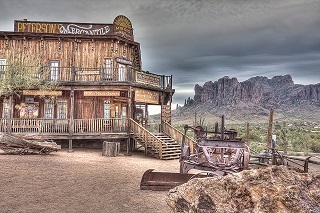 Located nearby Mesa is the world-famous Superstition Mountains where many still search for the “Lost Dutchman’s Gold Mine“. The near by town Goldfield Ghost town has some amazing artifacts, as you walk through the 1800’s style buildings, it really feels like it takes you back. This is a must visit point of interest in the state. Stop into the old salon and order a ice cold sarsaparilla, then head on out to the local shops! For water recreation enthusiasts, just outside Mesa is Canyon Lake, Saguaro Lake, the Verde River and the Salt River which is popular for river-tubing. If you enjoy wagering and Las Vegas style entertainment, several Native American casinos are also located nearby Mesa. It’s only a fifteen minute drive to Phoenix from Mesa. In Phoenix, there are also many attractions and sites to see such as the Desert Botanical Garden, the Phoenix Museum of History or the Art Museum, and the Arizona Science Center. Phoenix also offers some great restaurants, nightclubs, events and don’t forget shopping for the ladies! Take her on a shopping spree and a Mesa Arizona balloon ride all in a days work! Mesa Arizona Balloon rides are breathtaking and are full of amazing sights. Kids (young and old) love Jeepers, the indoor amusement park in Mesa filled with fun for the family such as rides, games, bowling and more. USA Skateland is also located in Mesa, where kids can enjoy roller skating or in-line skating. The Arizona Renaissance Fair features medieval arts, an outdoor circus and crafts. The Fair occurs between early February and early April on weekends each year. There’s also the Annual Great Southwest Rubber Stamp Fall Fiesta, which takes place in early March and features refreshments, door prizes, many stamp vendors and booths. In March, many sports fans flock to watch the Chicago Cubs train at Hohokam Park. You can catch a game and a balloon ride in the same trip! July vacationers enjoy Mesa’s Annual Independence Day Celebration, which includes a firework display, music and activities for children.